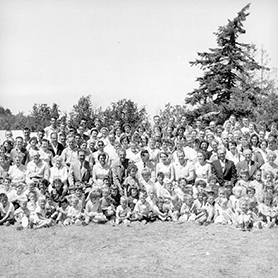 Samish Island Campground & Retreat Center was established in 1959 when Sig and Tora Freestad gave approximately 82 acres of their property on Samish Island to the church (Community of Christ) for the purpose of building a campground. 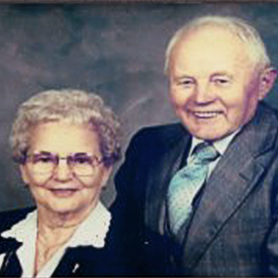 The Freestads foresaw potential for children, youth and adults to have a place to come for worship, spiritual growth, fellowship, recreation, personal reflection and healing. 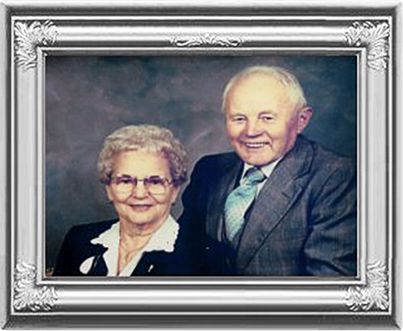 The property offered opportunity for all of these blessings to be experienced because of the beautiful setting of surrounding waterways; spectacular views of mountains, forests, trails, beaches and wildlife; and location for development of living, dining, meetings places and recreation facilities. 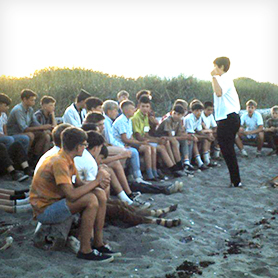 Samish Island Campground & Retreat Center is managed for the Community of Christ by the Samish Island Campground Association, made up of 33 congregations in British Columbia, Washington and Oregon. A Board elected and ex-officio directors handle the administrative affairs of Campground. The Association has approved bylaws to specify how the Board of Directors is to administer the campground business. 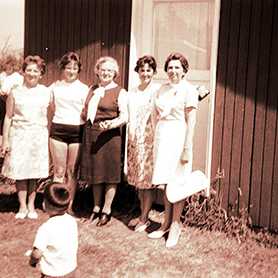 The early reunions and camps had significatly fewer amenities than current campers enjoy. Tents, outhouses, outdoor spigots, and existing garage serving as kitchen, and a barn serving as a chapel were the only conveniences for several years. 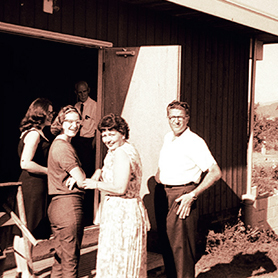 Forty-seven family cabins, six classroom cabins, a nurses’ station, a dining hall, two bathhouses, an RV park, a playground, two caretaker homes, septic systems and a man-made seven-acre lake have been built over the years to enhance the utility and serviceability of the campground. 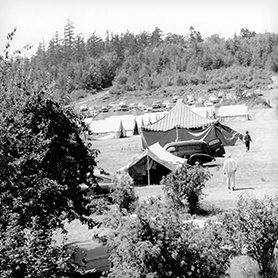 In 1984, the Samish Island Campground purchased an adjoining seven acres from Elmond Scott, which added the adjacent property on the Eastern Point of Samish Island. This addition provides privacy on the end of the island to protect the peaceful atmosphere that the beach, forest and wildlife offer persons on retreat. A Christian Fellowship Center (CFC) was built in 1991, replacing the old barn. It can seat from 400 to 500 in theater-type seating with folding chairs, and includes facilities for basketball and volleyball. The campground can now be used year-round. Sig and Tora Freestad surely established the long heritage of sacrificial offering with the gift of these beautiful grounds to the church. Tora shared many times that the gift was their answer to the urgings of the Spirit of Christ to make this contribution. In keeping with the spirit of their gift, many have given voluntarily of their time, talents and resources to build and maintain these sacred grounds. 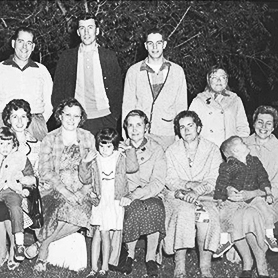 This includes the people and families who have served as caretakers on a volunteer basis over the 46 years since it began. 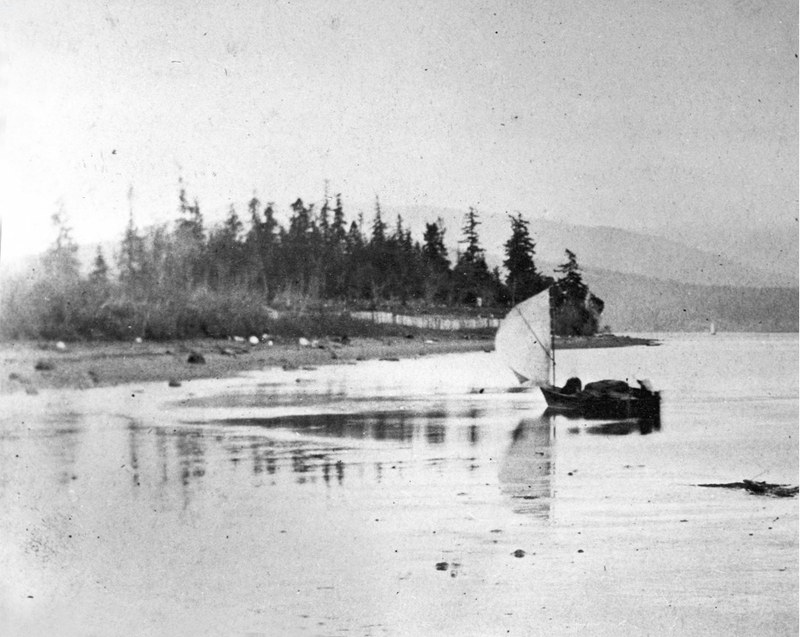 Prior to 1855, Samish Island was looked after by the Samish people. The Samish people were respected for their spiritual strength as well as their skillful carving of canoes and construction of longhouses. 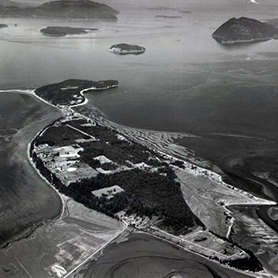 One of those longhouses on the eastern end of Samish Island measured some 1,250 feet in length.